Two more pictures of Pack 133 made it onto the pages of The Observer Tribune. First, the pack celebrated Scout Sunday with our charter organization, Hilltop Church! Then, the finalists from Pack 133's Pinewood Derby got to celebrate their achievements by getting a photo taken with the Mayor of Mendham Township. Great job Scouts! In the interest of protecting the privacy of our scouts, the page with the pictures is password protected. If you don't know the Pack 133 password, contact your Den Leader. Pack 133 has made multiple appearances in the Observer Tribune recently. Great job to the entire pack for both of these efforts to help their community! Click here to see a photo gallery of our November Pack Meeting. The 2019 Pinewood Derby is just around the corner. Pinewood Derby kits will be handed out at the December pack meeting. See our 2019 Pinewood Derby Guide for all the information you will need in order to have a fun and successful time building a car for the big day. Click here to see a photo gallery of our September Pack Meeting. Pack 133 in the news! Some of our scouts recently completed a Summer Service Project at Schiff Nature Preserve. A short article about the Pack's activity made it into the Mendham/Chester Patch and the Observer Tribune. It is time to kick off our annual Popcorn Fundraiser! Popcorn sales help to fund all of the Pack's activities throughout the year. 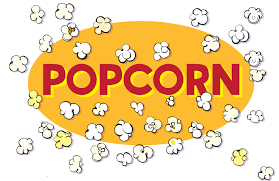 Scouts can earn prizes based on the amount of popcorn they sell! Selling period kicks off with our Pack Picnic on August 26th and all orders are due by October 14th. Check out our convenient Popcorn Guide to get all the information needed for you and your scout to be successful in your fundraising efforts! This is our one and only fundraising event – so let’s make it count! Pack 133 took part in a summer service project at nearby Schiff Nature Preserve. The scouts helped to clear an overgrown path near the original Schiff residence. For more information on Schiff Nature Preserve, click here. ​In the interest of protecting the privacy of our scouts, the page with the pictures is password protected. If you don't know the Pack 133 password, contact your Den Leader. Pack 133 kicked off June with the Summer Campfire. This was the last pack meeting of the scouting year. Click here to see a picture gallery. Check in here for information on upcoming events, as well as photos of the pack in action!